My inspiration for these designs was to mirror nature by using smooth, simple and fluid shapes. "When we recently celebrated our 25th anniversary, my husband and I commissioned a truly special eternity ring made in a modern setting and all round diamonds.That stays on my finger always!" Closed: Sunday and Bank Holiday Monday. "The design for a piece of bespoke jewellery always has an initial creative spark. This may result from a gift, a sketch, a black & white photograph, a surprise engagement or perhaps an inherited piece of jewellery that needs to be re-modelled." 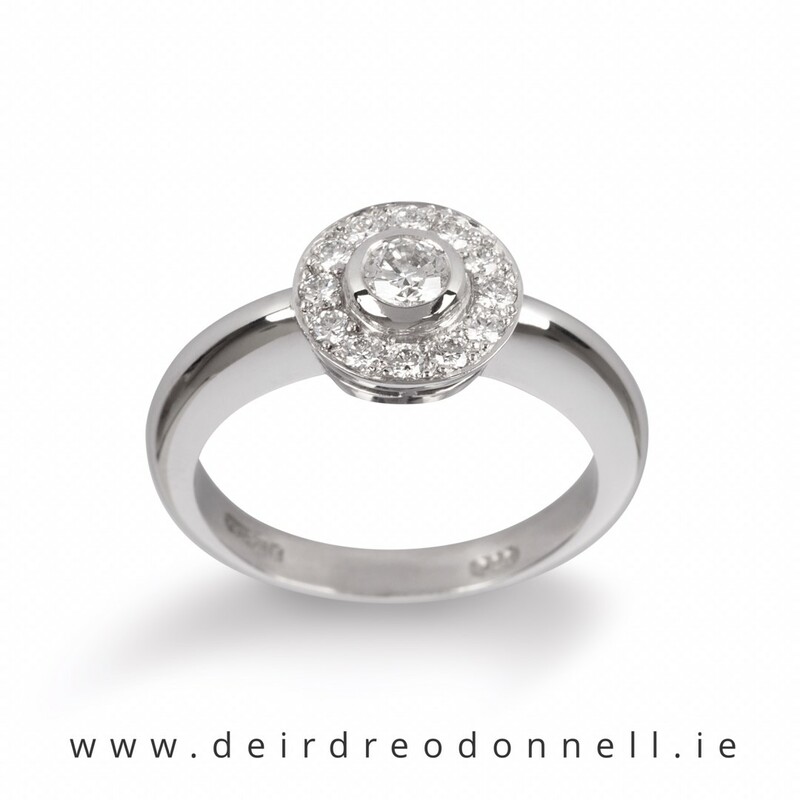 DEIRDRE O'DONNELL CONTEMPORARY JEWELLERY, designing and creating bespoke, limited edition and collectable jewellery. For all occasions - the pieces from our studio are considered, bespoke and elegantly understated. 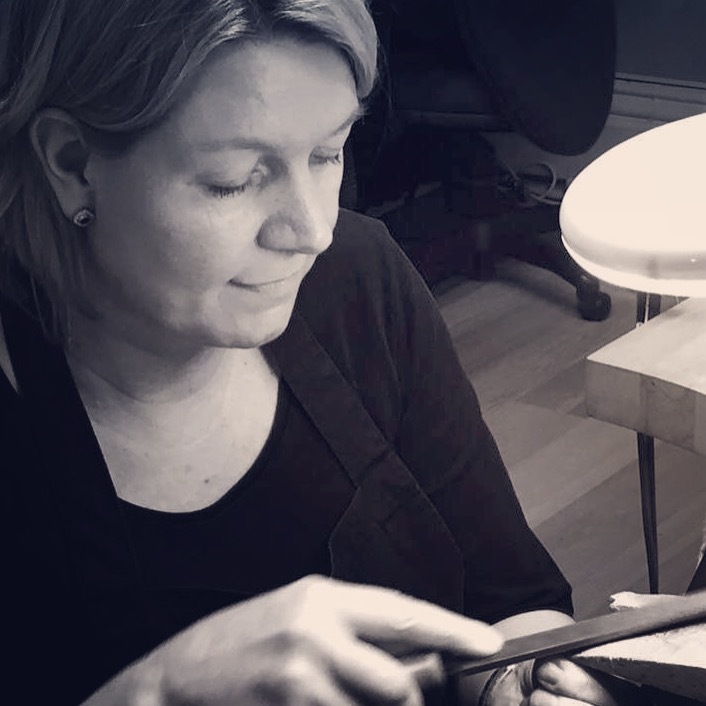 All of our jewellery is designed and made by Deirdre and her team, in our studio at 19, South Anne Street, Dublin 2, Ireland. With the exception of a small limited edition collection, which is designed and made by Emerging Graduate Designers from our Full Time Courses at Deirdre's Jewellery School, The School of Jewellery Ireland.